Minor planet Nr. 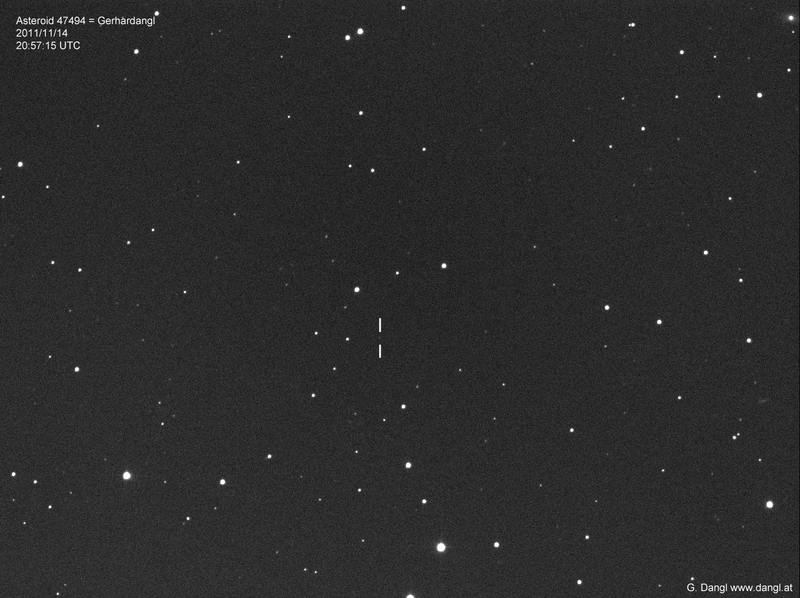 47494 = "Gerhardangl"
On January 04, 2000 the amateur astronomer Stefano Sposetti at the observatory Gnosca in the Italian speeking region of Switzerland discovered a new minor planet. Due to the date of discovery the asteroid got the preliminary designation "2000 AH42" from the Minor Planet Center. 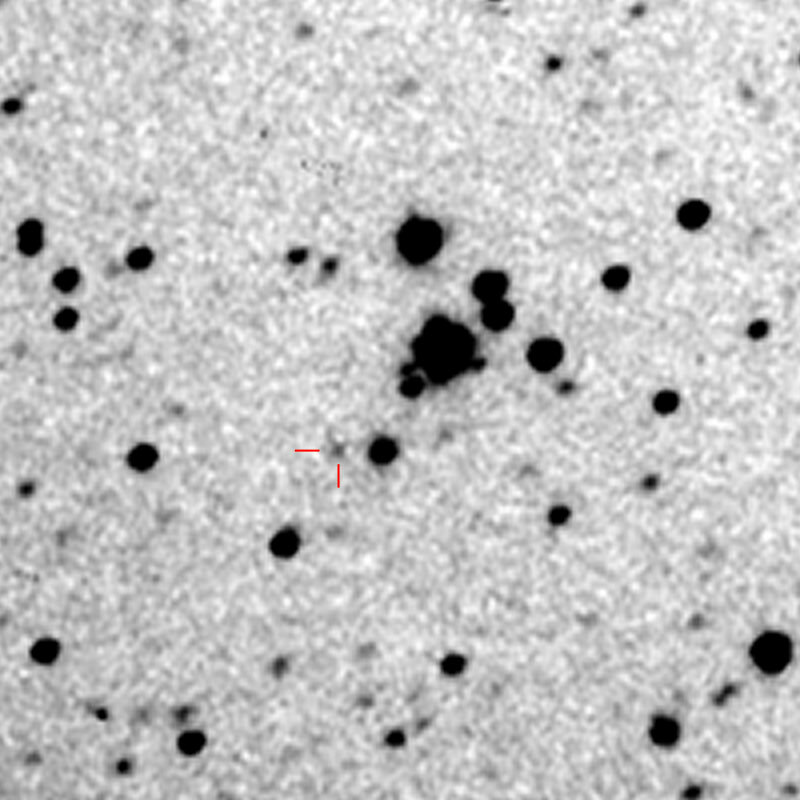 After some years of further observations with accurate orbit determination the object got numbered with 47494. In March 2009 Stefano Sposetti made the proposal to the CSBN - Committee on Small Body Nomenclature of International Astronomical Union - IAU to name the minor planet 47494 to Gerhard Dangl, an amateur astronomer from Waldviertel (=Woodquarter) region in northern Austria. A naming of a minor planet has to meet specific guidelines. The discoverer can make a proposal and has to send a description to the person and the activity in the form of a citation too. The proposal of the discoverer to the CSBN will be investigated and can be approved. The CSBN of the IAU will publish such namings in a Minor Planet Circular (MPC) later. In the year 2009 the Committee on Small Body Nomenclature of the IAU consists of 16 persons from the following ten countries: Brasil, China, Japan, New Zealand, Netherlands, Russia, Czech Republic, Uruguay and USA. 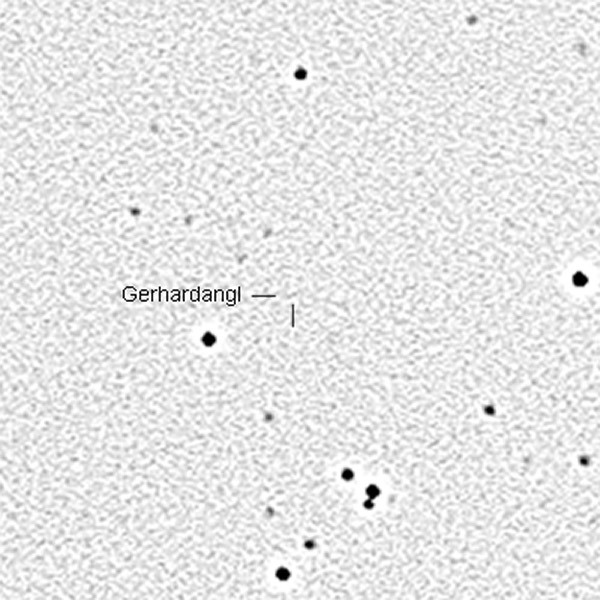 After the investigation by this Committee of the IAU the naming of the minor planet 47494 to "Gerhardangl" was published on April 09, 2009 in a Minor Planet Circular (MPC). Discovered 2000 Jan. 4 by S. Sposetti at Gnosca. information about this technique to other astronomers. The minor planet 47494 Gerhardangl (2000 AH42) is an object of the asteroid main belt between Mars and Jupiter. The object has a calculated size of about 5 kilometers and an orbit period of 4.16 years or 1517.7 days. Solar system views created with EasySky from Matthias Busch. On the page Solar System Dynamics from Jet Propulsion Laboratory of NASA one can see the data and current position of minor planet "Gerhardangl" . Here I want to give my special thanks to the successful amateur astronomer and minor planet discoverer Stefano Sposetti from the Observatory 143-Gnosca, Switzerland for the big honesty of the naming of a minor planet. Gerhard Dangl in April 2009.